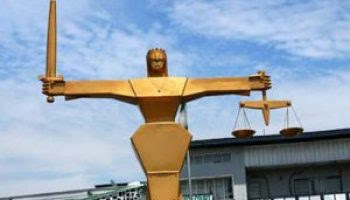 An Okigwe High Court presided over by Justice Benjamin C. Iheka, has sentenced a 33-year old Mr. Nathaniel John to death, for conspiring and killing his employer, Mr. Ndubuisi Chukwu. John was, in suit number HO/3c/2014, accused of committing the offence, contrary to Section 324 of the Criminal Code Cap 30 Vol. II Laws of Eastern Nigeria, as applicable in Imo State. It was the considered opinion of the Judge in the one and a half hour judgment that the fact of death of Ndubuisi Chukwu was not challenged by the defence. “Although the body of Ndubuisi Chukwu was not recovered, the law remains trite that in the absence of the body of the deceased, where there is strong evidence that the person is dead,the court will be justified in finding the accused liable accordingly,” Iheka said. The court also found as a fact that on the unchallenged evidence before it, the prosecution had proved the death of Ndubuisi Chukwu. “The prosecution led evidence and proved that the deceased, Ndubuisi Chukwu, was seen last with the accused and the driver, Musa Hadeija, on April 29, 2013, when they left Okigwe for a business trip to Port Harcourt, in the course of which the deceased was killed,” Iheka said. The Judge also found that the accused and the driver had a common purpose to execute, which was the killing of Ndubuisi Chukwu and share the proceeds from the sale of the diesel and the tanker truck. The sentence of the court upon you is that you be hanged by the neck until you be dead and may the Lord have mercy on your soul,” Justice Iheka said.